And when you are talking about the sport’s resident B.C. dynasty program, three is indeed the magic number. 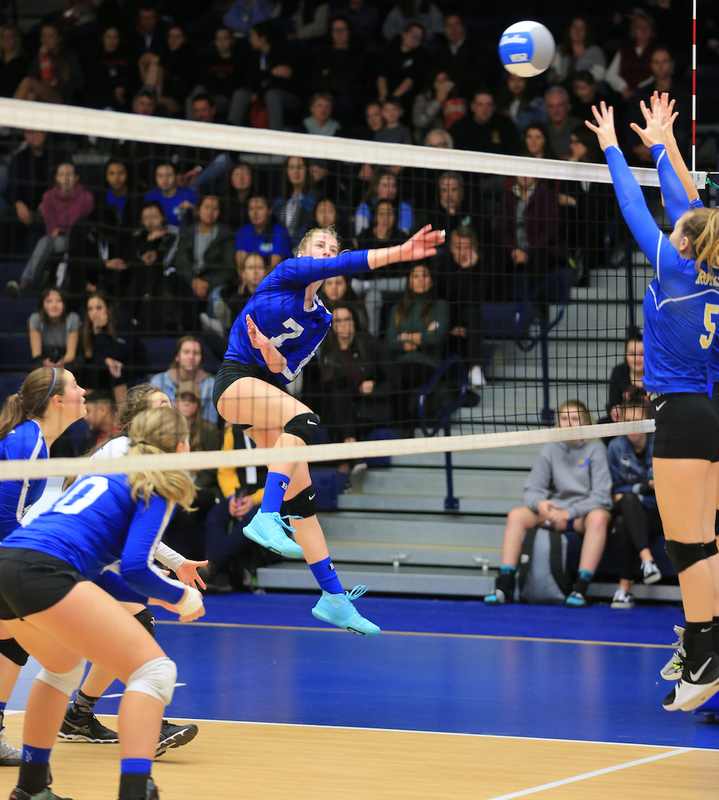 Three as it relates to the number of consecutive top-tiered Quad A provincial titles Victoria’s Bulldogs can capture if they can once again survive the gauntlet that is the annual B.C. tournament, this season scheduled for a Nov. 29-Dec. 1 run in Penticton. And just as importantly, three as it relates to the third wave of players who have taken their turn stepping to the fore for head coach Mike Toakley and assistant Mike Waller over what has become the most impressive sports run in school history. “Our quest for a three-peat might be the most obvious plotline, but more compelling is the story of our unsung heroes,” explains Toakley, whose team has maintained the No. 1-ranked since the early stages of the season despite a graduation total high enough to cripple most any other program aiming to make another deep run at the B.C. championships. Of course the Bulldogs fashioned a Cinderella 2016 finish, winning the B.C. title with team comprised exclusively of Grade 10 and 11 players. Last season, meeting every pressure and expectation placed upon them, that group went out and repeated on its first-place mission. 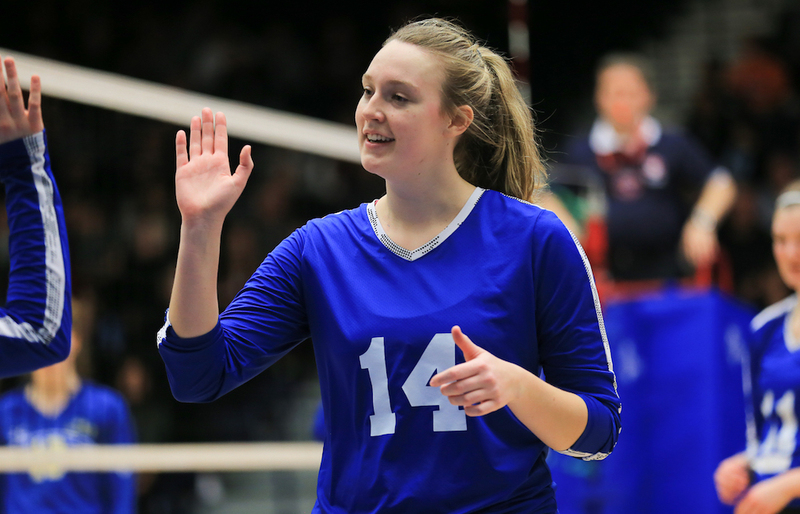 Yet from that group, eight players graduated, including four — Savannah Purdy (Trinity Western), Miranda Cyr (Douglas), Hannah May (Camosun), Olivia Godek (Camosun) — who are in the first weeks of their post-secondary playing careers. And thus, the second degree of dedication has come in the form of its four returning players. 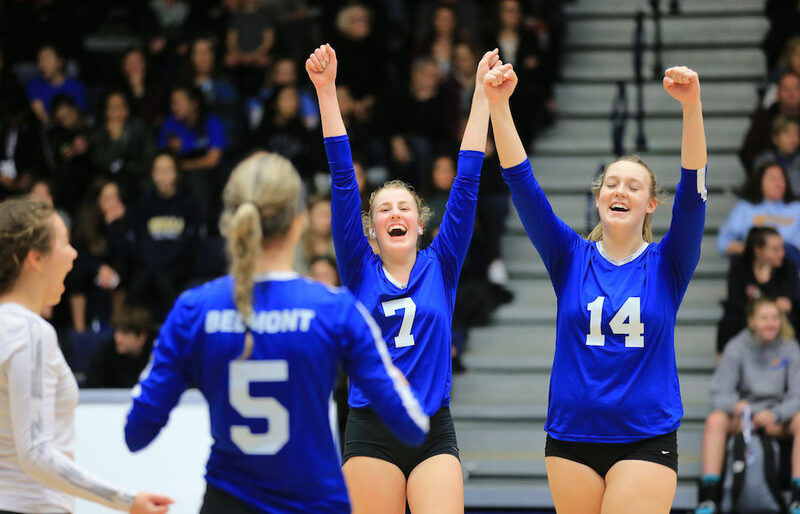 Right side Gracie May, setter Taylee Pomponio, power hitter Jocelyn Sherman and multi-positional Aspen Nemeth have embraced their time on the precipice of the spotlight the past two seasons and have come into the 2018 campaign as a quartet whose greatest accomplishment has been to create their own team dynamic and identity. The third degree of dedication? Four players does not a team make, especially one, which after taking first place with a win over Pacific Academy in the finals at last Saturday’s blue-chip Red Serge Invitational in PoCo, sits with a 46-3 record. “Last year we put together a JV team,” Toakley says of a term whose actual meaning has differed through the ages. In the 1960s, for example, within a university athletic program, a JV team would comprise of athletes who competed a step below the varsity, but had the potential to one day make the step up. At the high school level, a junior varsity team is currently described as an age-group team of athletes Grade 10 and under. Belmont’s 2017-18 JV girls volleyball team, however, met neither criteria. That so-called ‘JV’ team of senior varsity athletes was created knowing that heavy grad tolls from the Class of 2018 would create huge holes to fill on this season’s senior varsity. Moving up from the ‘JV’ team of last season and making the biggest impacts have been middle Elyse Gagnon, power hitter Kylie Kennedy and libero Jasymn Loo. Abby Nault has also moved up to the senior varsity as a part of that group. Toakley and Waller have worked hard to create what has been an ultra-productive four-year window, one which began with a B.C. junior title in 2015. The well may run dry next season, but based on the way the Belmont brain-trust has coached up its players and coaxed out their best qualities as people, don’t ever count them out. Back in early October, at the Camosun Invitational in Victoria, Toakley got a reminder of just how meaningful these past few seasons have been in the lives of his players. Purdy, Cyr, May and Godek. Forget about six degrees of separation. When you’re this close, it’s all about three three degrees of dedication.